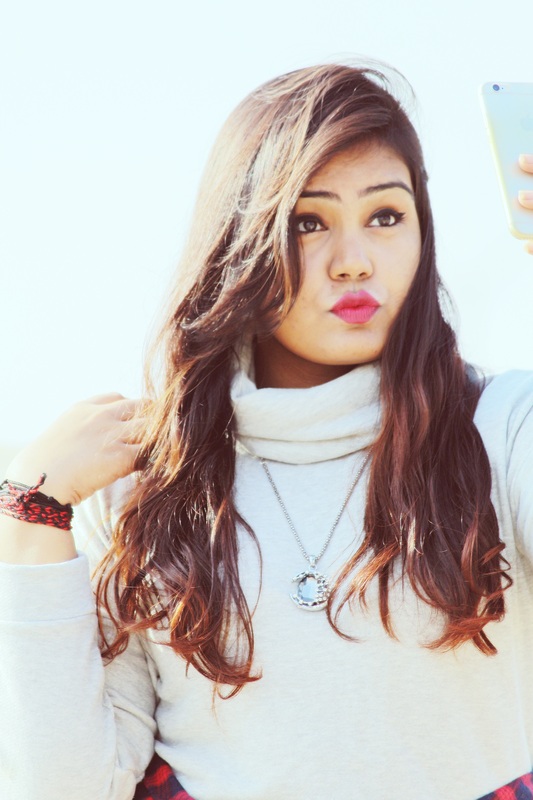 First of all, thank you so much for all your love and support and taking #StylingWithPout so far. So happy to publish the first blog on my official website with a new name and a new logo. Thanks for all the positive response on the website and the name. Today’s blog is a look book of how I turned by casual dungaree skirt into a hot outfit. There was a time when only jeans were considered as western outfit. But with time came so many different styles of clothing including skirts, pants, dungarees, playsuits, jumpsuits, cordinates, overalls, maxi dress, skater dress etc etc. We have so many options to pick from, but personally I love anything short and cute and thats why dungarees are one of my personal fav. For the look today I am wearing my favourite ‘Muraad Skirt Dungaree’ which is an above knee length denim skirt dungaree from StalkBuyLove ( http://www.stalkbuylove.com/murad-skirt-dungarees-SBLPR.html ) and paired it with a white lace crop top from Westside ( www.mywestside.com ) I completed the look with a pair of white heels and made a half high pony for the extra cute look. And Voila! I m all ready. 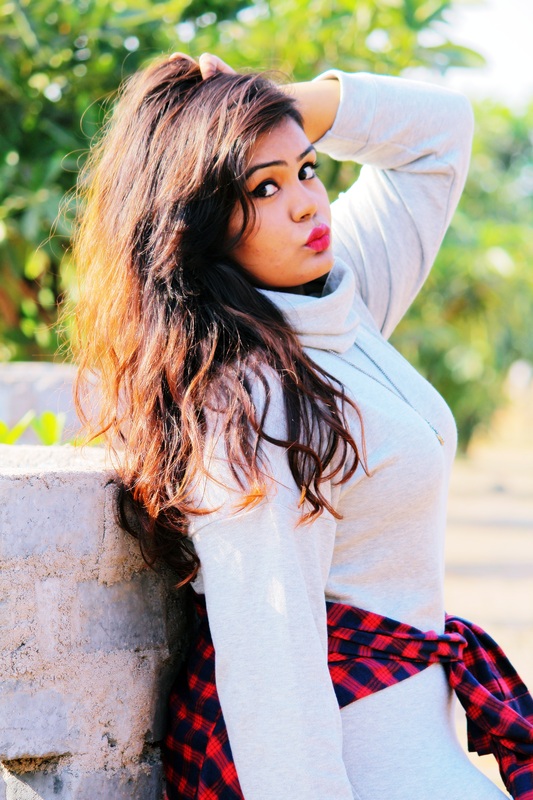 The best part about dungarees is you can style them with different tops and they can totally change your look. Like if you wear a cool tee with the dungaree it becomes a casual look, similarly if you wear it with a fancy top like I did it becomes a hot and classy look. FASHION TIP – You can also team up the denim dungaree with an off shoulder or cold shoulder crop to, frill top, casual tee or even with a bralette and your fav. sneakers and your casual look is ready. Messy bun, braids or half clutch hair anything would go with such kind of outfit. 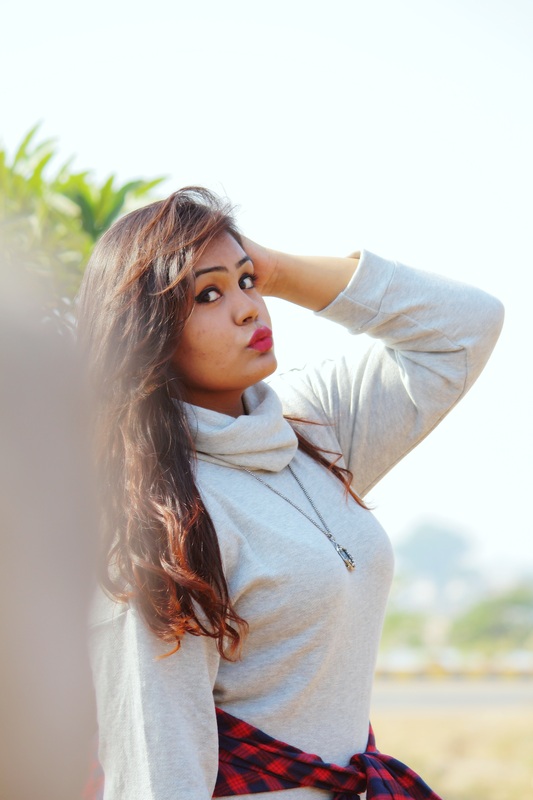 So for this blog I thought of using my favourite hoodie cardigan from STALKBUYLOVE ( http://www.stalkbuylove.com/wine-ista-cardigan-132192-SBLPR.html ) Ya I know a cardigan for summer? Well trust its not tough how it looks. So I paired my cardigan with a black tube top and my ripped boyfriend jeans from WESTSIDE. Finished the look with my favourite pair of shoes and my current fav. pastel sling bag from AAMARA INDIA and a neck choker with the french braid (umm, atleast I tried). And voila my look is ready! FASHION TIP : You can create different playful looks by pairing up this cardigan with any denim short dress or your fav. LBD, tank top with denim ripped shorts etc. 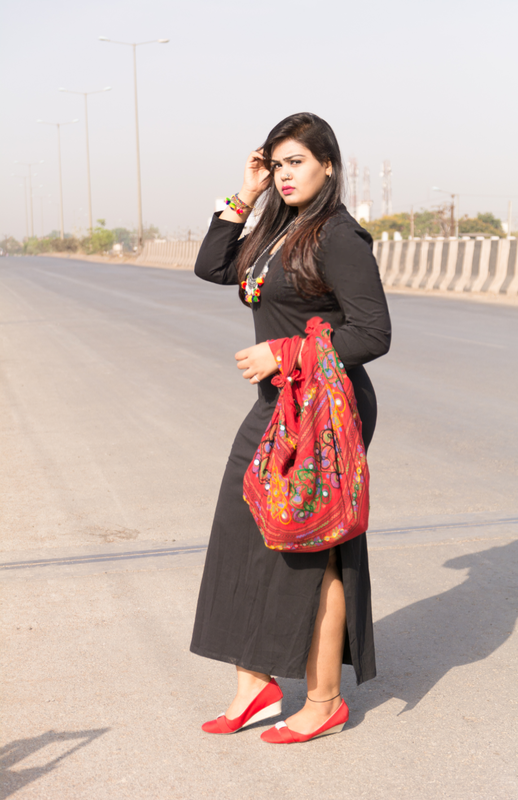 Today’s blog is about how I style my simple Maxi Dresses just by adding some statement jewelry pieces to it. Statement jewels are always oh so gorgeous and add sparkle to any of your outfit. 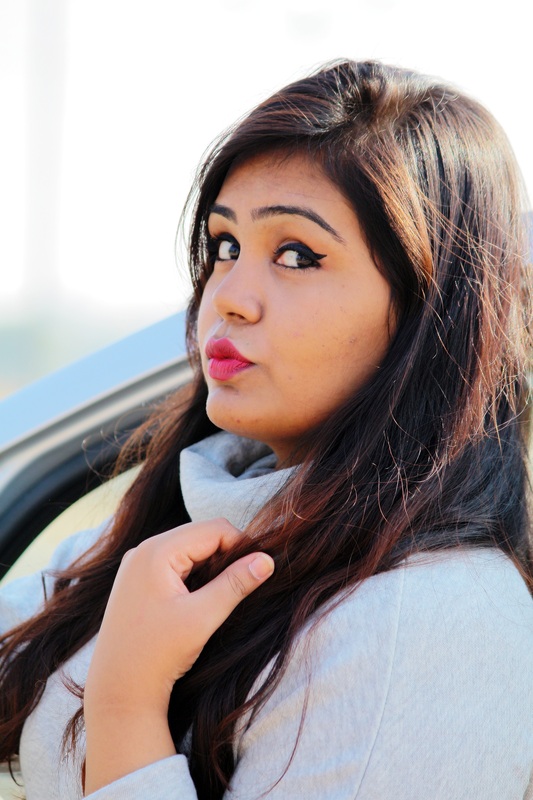 I came across some really beautiful jewel pieces from CUTE COUTURE (Insta handle – @cutecouture26) which is an e-store on instagram which has some really mind blowing fashion accessories and thats when I decided that I have to own a few pieces from them. 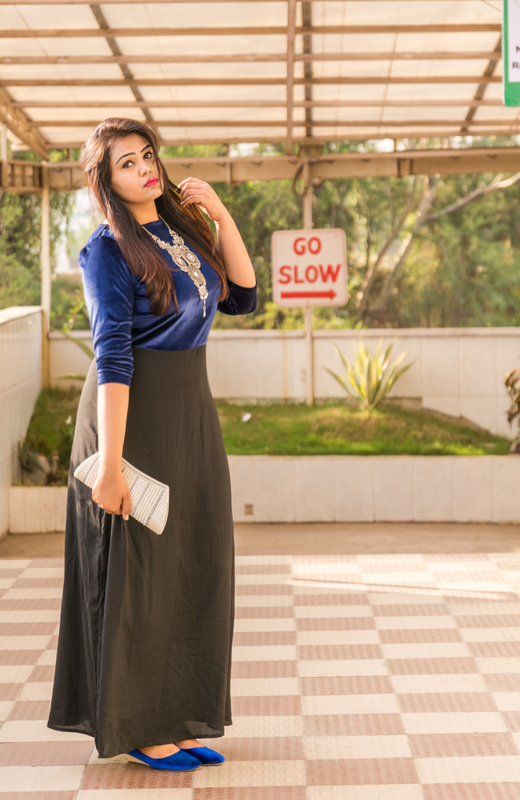 So I’ll be showing you two looks on how I styled my maxi dresses. 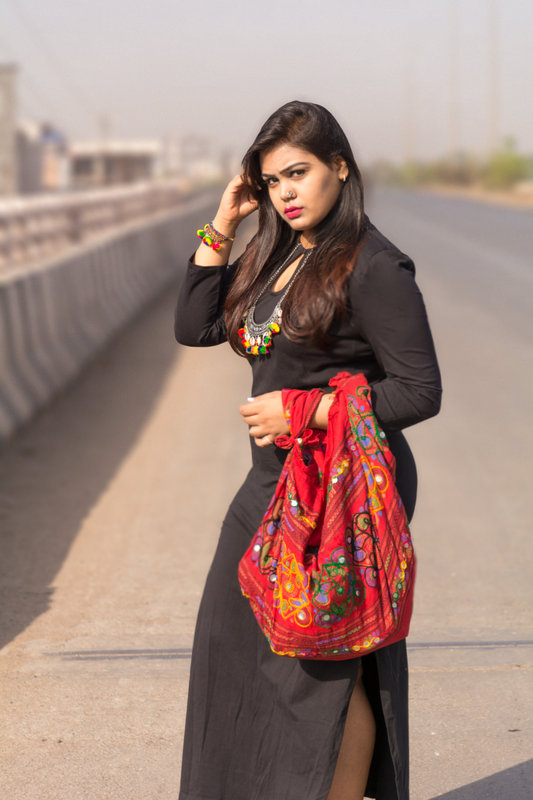 For the first look, I am wearing a Black Maxi dress with a slit cut on the side and I added these ‘pompom accessories’ from CUTE COUTURE and made a ‘Jhola Bag’ FROM MY Mom’s dupatta which is adding a great color pop to the entire look. And finally I finished the look with my red velvet belly heels. 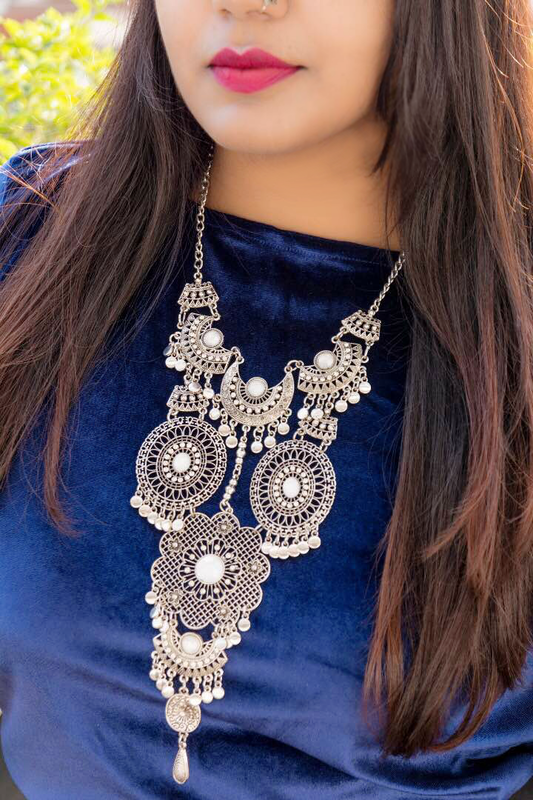 For the second look, I am wearing a half velvet maxi dress with this stunning boho neckpiece and have paired it with my blue velvet belly heels and a white silver clutch to add extra class and elegance to the look. Happy winter to everyone. 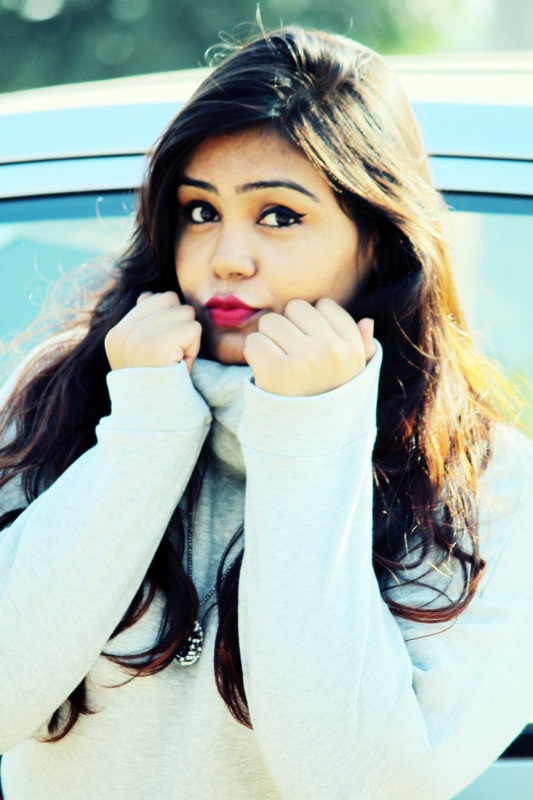 I love winters and I am sure so do you. We love it for the fact that we can wear hoodies, jackets, caps, blazers and cover our bodies in those baggy clothes and rome around like a crazy person. Some people say its winter and how do you expect me to dress up all well and meet you? Well I have a answer to that today. 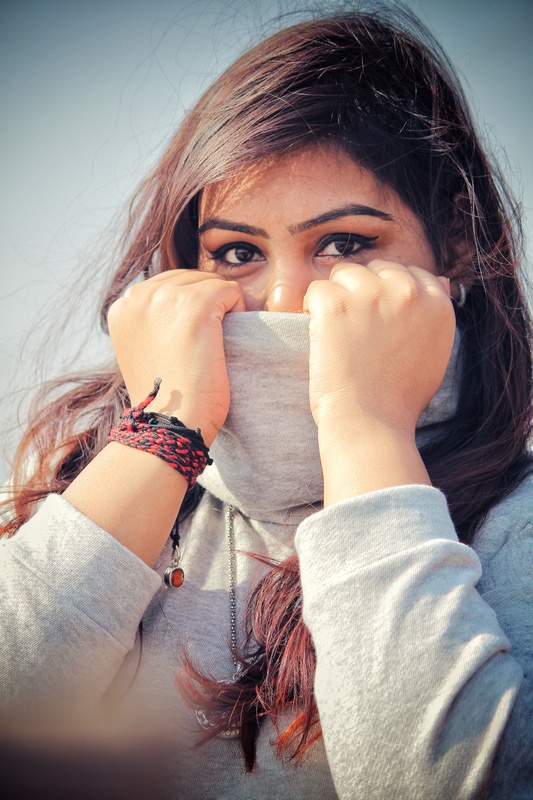 You can look all cool and happening in winters without even having a cold feeling and still rock your ootd by shopping the amazing Winter Collection from my very fav. STALK BUY LOVE. 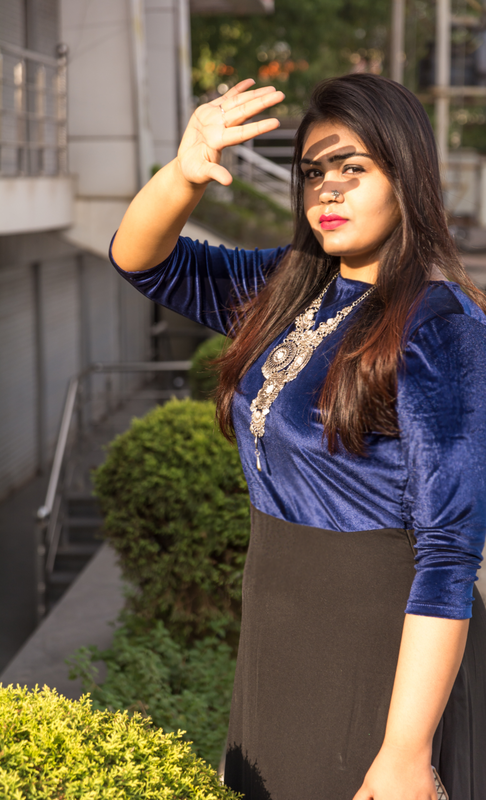 I have created this cool #MYNYELOOK from SBL’s new winter collection which is perfect for any winter outing or for the New Year’s Eve look. 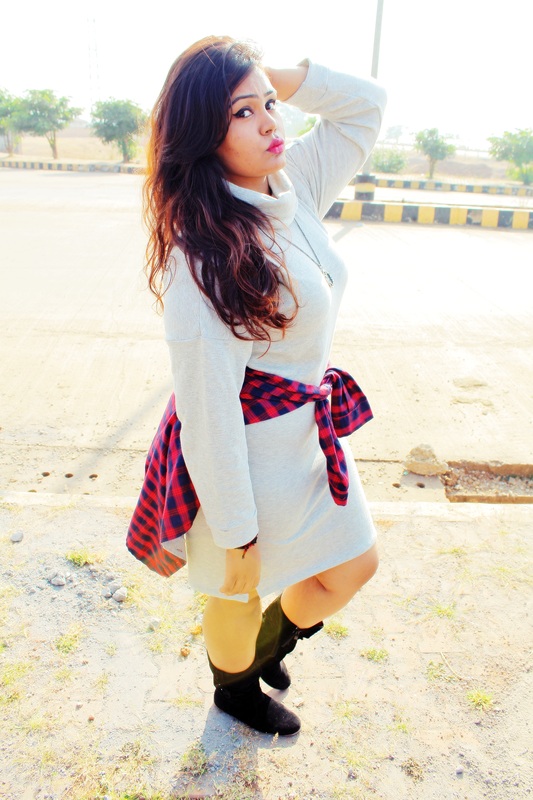 For this look I am wearing this grey cotton ‘Kade Terry Dress’ ( http://www.stalkbuylove.com/kade-terry-dress-132138-SBLPR.html ) which is a shift dress and is super comfy and cozy, a perfect dress for winter to make you look stylish and protect you from winter cold at the same time. I tied a checks hoodie around my waist and wore a long silver chain to add a pinch of glamour to this look. 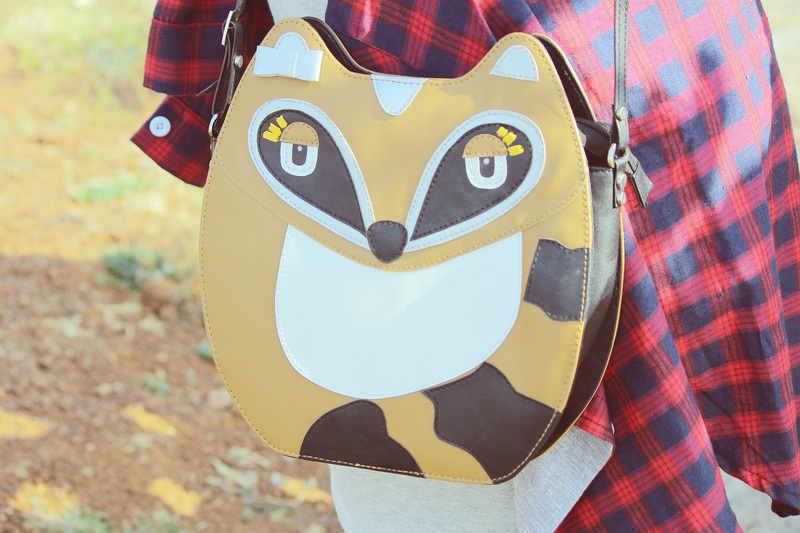 And I completed my look with black long boots and a super quirky ‘Ms Vixen Bag’ which is agian from SBL.